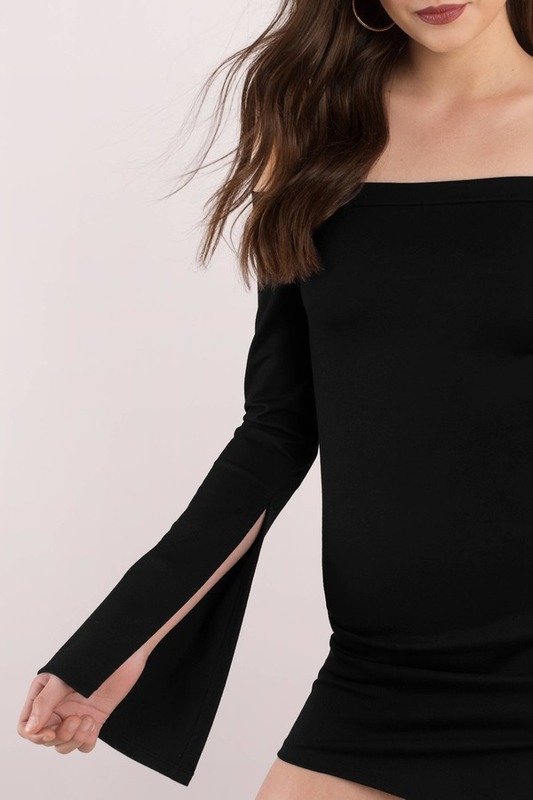 Check out Tobi's Late Night Love Bodycon Dress Introducing our plus one to every event this season, the Late Night Love Bodycon Dress. Let this Rose dress take you on date nights and bar hopping in the city. With an off shoulder neckline, bell sleeves with slits, and a side slit to show some leg, what more do you need? Introducing our plus one to every event this season, the Late Night Love Bodycon Dress. Let this Rose dress take you on date nights and bar hopping in the city. With an off shoulder neckline, bell sleeves with slits, and a side slit to show some leg, what more do you need? Introducing our plus one to every event this season, the Late Night Love Bodycon Dress. Let this Black dress take you on date nights and bar hopping in the city. With an off shoulder neckline, bell sleeves with slits, and a side slit to show some leg, what more do you need?